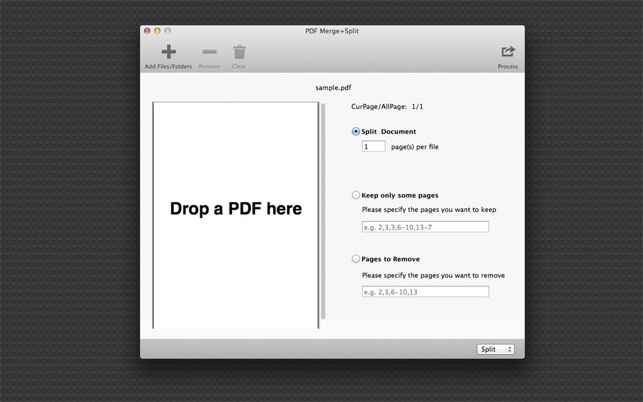 PDF Merge+Split: the best tool to merge multiple PDF files into one PDF, split a PDF to multiple PDF files, reorder the pages of a PDF, keep or remove the specified pages of a PDF. 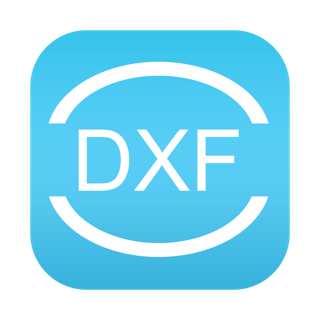 ◆Easy to use, simply Drag & Drop into list, then just click the button to merge or split. ◆An advance option to add files recursively form subfolders into list to merge. ◆An advance option to order items in list by source file name, file size, output name, status or manual order for merging. ◆An advance option to merge all or selected files in the list. 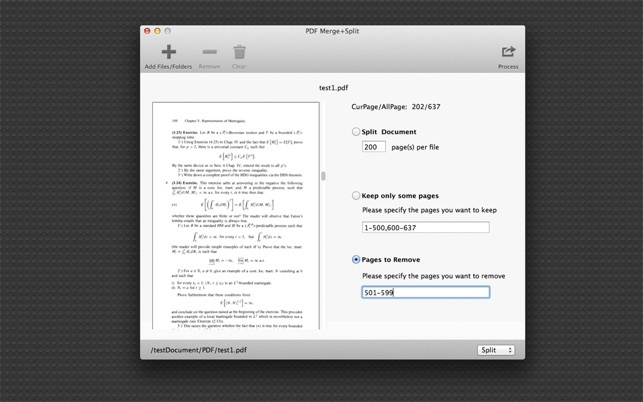 ◆An advance option to show output folder in finder after process or not. You can refer User Manual from menu "Help -> PDF Merge+Split Help” for any assistance or contact support.